Newsletter 221: There is no more room here! 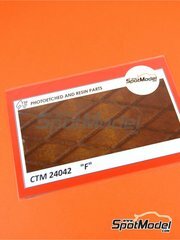 Windshield made of 0,2mm thick tinted laminated acetate for replacing the original plastic part of the kit. 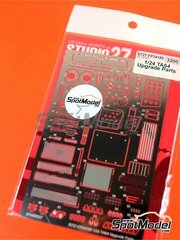 You will achieve greater realism for your scale model both by its reduced thickness, much closer to reality in that scale than the original part, and its color and transparency. 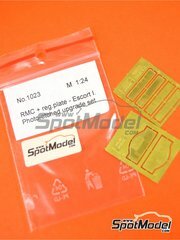 Unlike usual vacuum formed parts, this windshield is also precut, so it will fit your scale model without any further trimming. 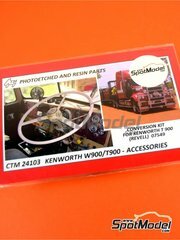 Photoetched parts for the Australian version of the Kenworth T900, including full color printed parts like the dashboard or the "Road train" badges. 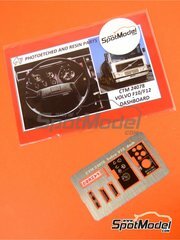 Full color printed photoetched dashboard for Volvo F10 and F10 by Revell and Italeri. 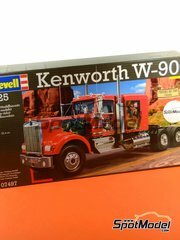 Another edition of the american Kenworth W900 in 1/25 scale. 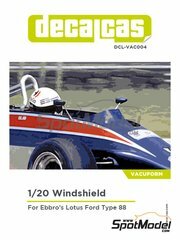 Includes a gorgeous decals sheet printed in Italy with offset techniques, fully broke up chassis, detailed cabin, several chromed parts sprues, detailed engine and extensive assembly instructions. 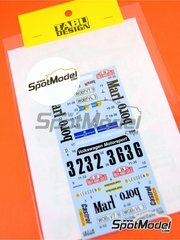 License and rally plates for the Montecarlo rally to enhance and detail the looks of your Belkits scale model. 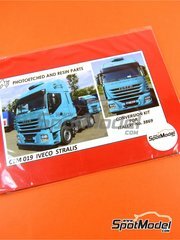 Extensive photoetched parts sets including several sheets, one of them full color printed, for detailing and improving the Stralis series Iveco trucks. 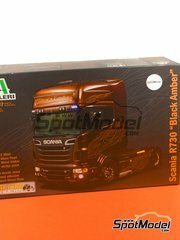 This magnificent Italeri box includes precut mirror vinyl, one bottle of acrylic paint with the actual truck tone, one piece rubber tyres, sprues with chrome parts, spectacular decals, and an extensive parts break up including the whole engine and cabin interior. 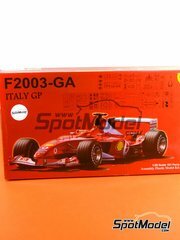 Nothing less than the Ferrari on which Schumacher won the Italian Grand Prix, now turned into a glorious scale model by Fujimi with a fully detailed engine and an extensive parts break up. 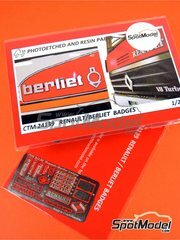 Photoetched badges with logos, emblems and badges for B>Berliet / Renault R310 R340 R360 R370 R390 trucks. A curious (and undocumented) decoration of the VW Polo racing at the 1984 European Rally Championship. 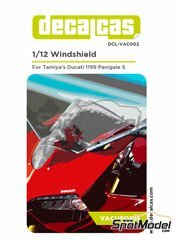 Set of two decal sheets with different kevlar and carbon fiber patterns to use in the Ferrari F1 87/88C by Fujimi. Are you serious you are going to miss them!!?? 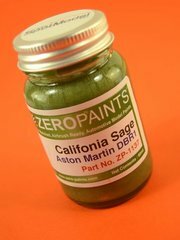 The gorgeous and classic metallic green used by Aston Martin since the DBR1. 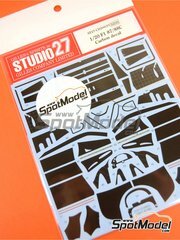 Two gorgeous decal sheets filled with carbon fiber patterns, mostly for the monocoque and different spoilers, for the Lotus Renault 97T by Fujimi. Delicious!! Photoetched plate with diamond texture, measuring 6 x 13 cm. 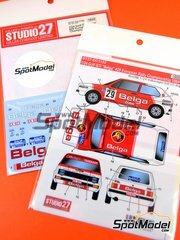 Marlboro sponsored decoration for Golf I GTI at 1980 Montecarlo rally, with Gijs van Lennep and his co-driver Ferry van der Geest, and Ben Pon and his co-driver Klein Jooks. 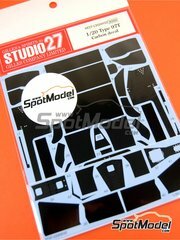 Photoetched parts set for improving Aoshima Toyota TA64 Celica scale model kit including fabric for simulating harness seat belts, in addition to grids, windshield wipers, harness buckles, brake discs and many other parts. 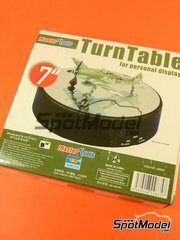 Battery operated turn table (batteries not included) for showing (off) your scale model kits. 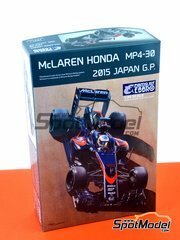 Featuring a mirror base for displaying your kit lower side, and two different turning speeds (slower - faster). 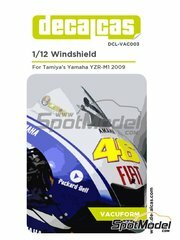 Protect your kits from dust and dirt with this plastic case. 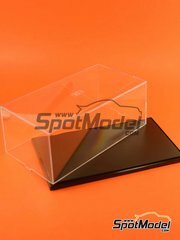 Features a black plastic base, and a transparent plastic case, measuring 232 x 120 x 86 mm. 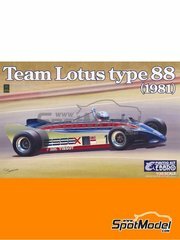 A fantastic model of the Lotus 88 as it raced at the USA in 1981. 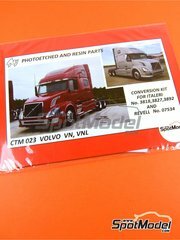 The model includes a fully detailed and exploded engine model, spectacular decals printed by Cartograf, rubber tires, chrome rims, etc. 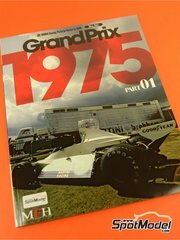 Inside the box you will find an extensive parts listing including tires with the Pirelli PZero logos printed with pad printing, and decals with Button's and Alonso's number pads.